A really really quick round up of my incoming and outgoing mail this month because I’ve not been as active as I should have been! At the beginning of the month I focused on getting my #Postcircl mail out, so my Postcrossing postcards fell by the wayside for a few weeks! I’ve caught up with everything now though so hopefully June will bring more happymail to my door! As I mentioned, the first outgoing mail that I sent was my #Postcircle bundle. The letters were only brief this time round but I did write to everyone in my group which is what I was aiming to do. I’d got so far behind in my replies that I had loads to reply to so I’m thrilled I’m finally back on track! Hopefully this means that going forward I can reply as soon as a letter falls through my door to ensure I can spend more time putting together a lovely little parcel like the ones I receive! My latest Lucky Dip Club subscription box arrived this week and I wanted to share all of the amazing goodies with you! This is a really cute box with a sweet cats and dogs theme. See what wonderful stationary and accessories are inside and let me know in the comments what is your favourite item in the box! It’s that time again to round up all of my incoming and outgoing snail mail for April! It’s been a bit quieter this month on the snail mail front so just a few to show you this time round. My first outgoing postcard was travelling to the US. 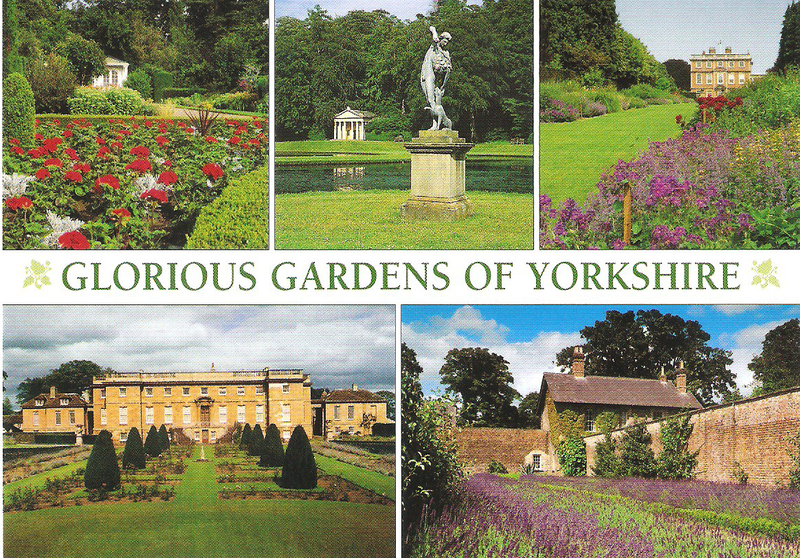 The recipient liked nature, so I sent this postcard of some pretty gardens in Yorkshire and it went down really well. It travelled 3,831 miles in 8 days. Once again, I have had another busy month of snail-mailing! I’ve had a lot of mail going out and I’ve been lucky enough to have a lot coming in too! Here’s a round up of the incoming and outgoing mail throughout March. A lot of the people that I was posting to via Postcrossing this month really liked collecting local postcards showing landmarks from your home city, so I have picked up quite a few this month. The first outgoing one is still making its long journey to China! 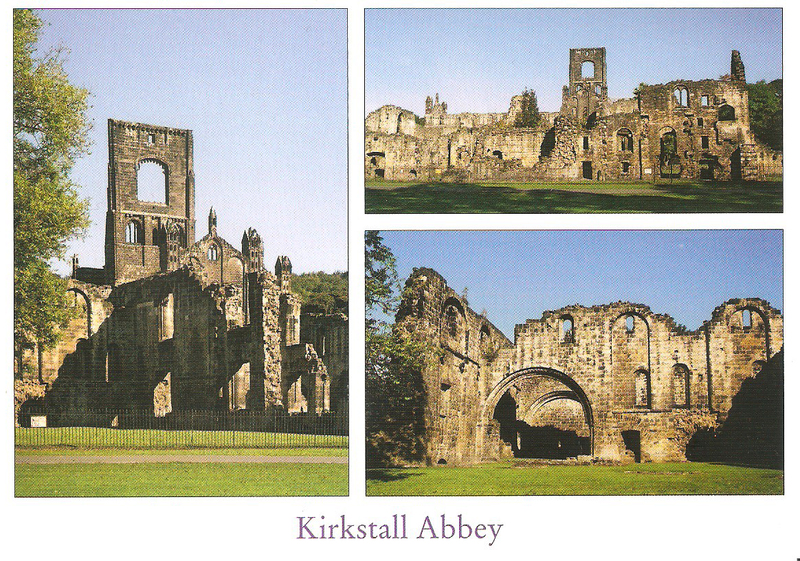 Its recipient is interested in history, so I sent a postcard of the local historic monastery, Kirkstall Abbey. Many of you know that I am an avid snail-mailer and I love receiving letters and postcards in the post. 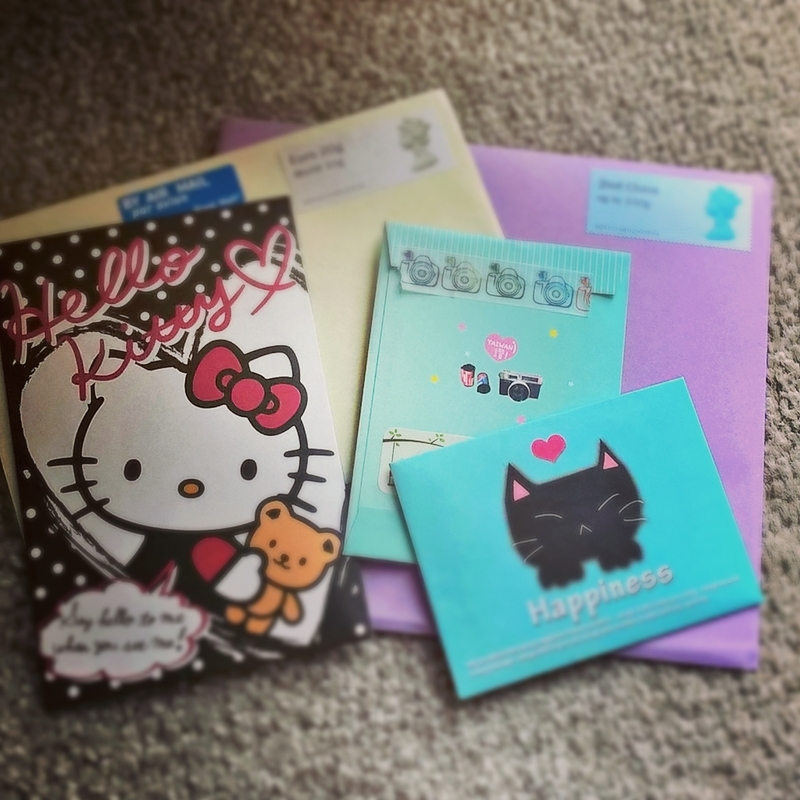 Having recently posted about my New Year Pen Pal Boxes, you already know that I am involved with #Postcircle and if you look waaaay back to June 2013, you will also find my post about Postcrossing! I’ll let you read the previous posts if you want an overview of what Postcrossing and #Postcircle are, but I thought I would share my incoming and outgoing mail from February with you! 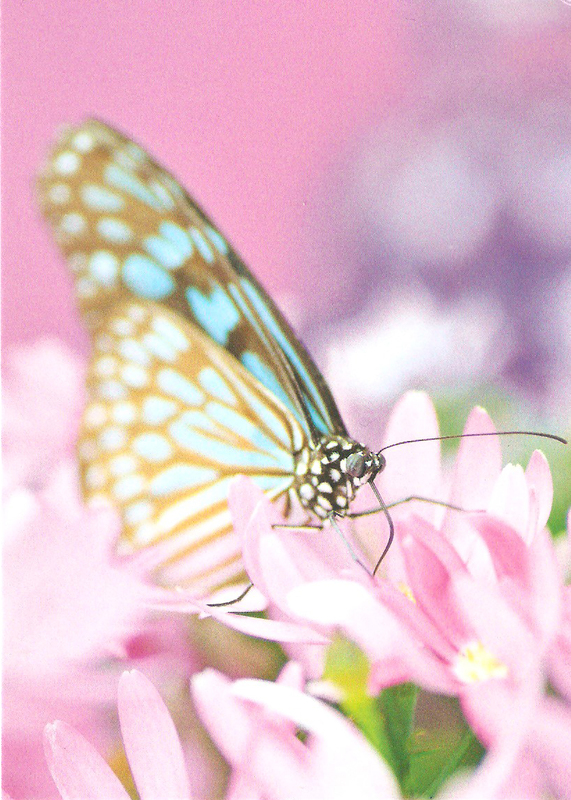 This butterfly postcard is on its way to Spain making a 981 mile journey to Menorca! Sorry this post is coming later than usual today…I’ve had a busy week and an especially busy weekend! 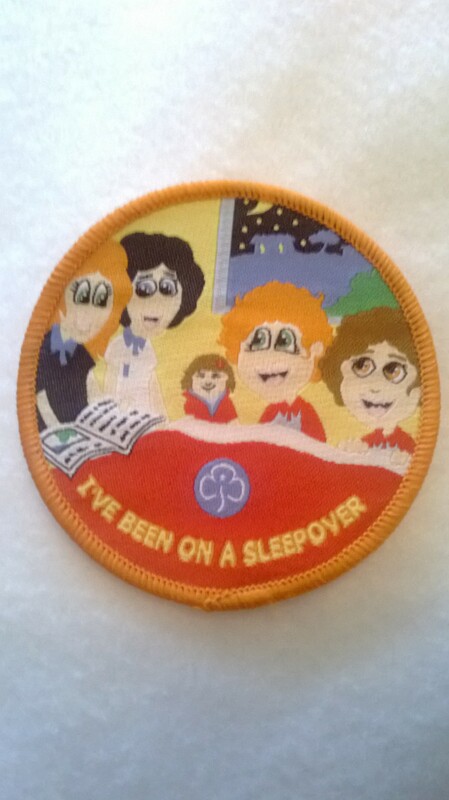 Last night was my first Rainbow sleepover and 7 of the girls that I volunteer with attended their very first sleepover…and didn’t do a lot of sleeping! It resulted in an afternoon at work on only 5 hours sleep but I had loads of fun so I don’t mind. I even have the badge to prove it! Anyway, onto the post summary! This week was a strange one for post, as I didn’t receive anything from Postcrossing, Swap-bot or #PostCircle. I knew that there would be a slight lull as I couldn’t afford to enter as many swaps for a while, so less swaps means less post 😦 but, as pay day was last week, I did have some exciting parcels containing some things that I had ordered instead. The surprise packet had a lovely combination of goodies in it! 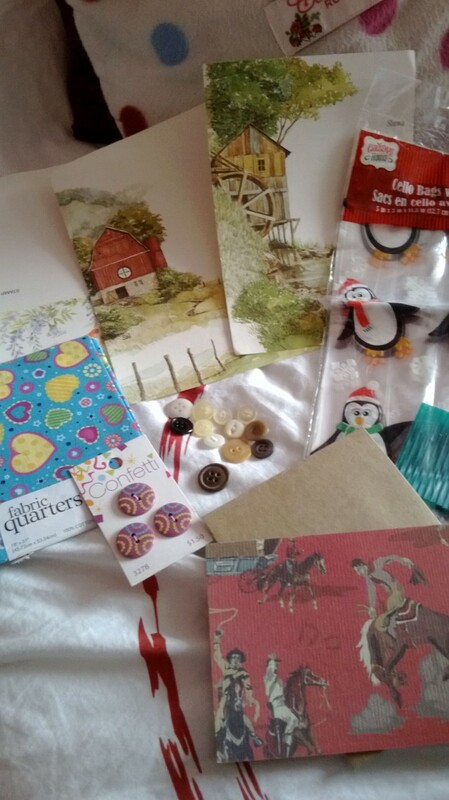 There were some lovely letter sheets that fold into envelopes, a Cath Kidston style letter sheet and envelope, an assortment of buttons, a fat quarter and some penguin food bags! I love the fat quarter and the buttons on the card go really well with it so I am busy looking for a project for them. The penguin food bags will come in very handy for my Christmas baking that I am planning to do for presents and the stationery will be put to use pretty swiftly!